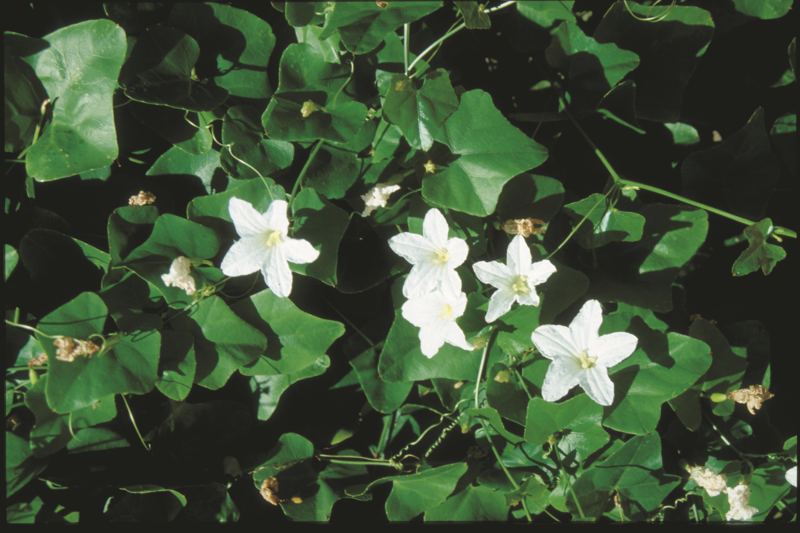 Control methods for ivy gourd (Coccinia grandis) a declared pest in Western Australia. Report the presence of this organism before undertaking a control measure. Information about this pest can be found on the ivy gourd: declared pest page. Chemical control options can be found below. For other methods of control please refer to the declared plant control handbook. Only removal and destruction of fruits suggested. Grubbing or hand removal usually spreads the plants because they break into fragments as roots revegetate. Results from Hawaii suggest basal bark with a ‘thin line’ of undiluted triclopyr. Apply as foliar spray. Two applications/year onto actively growing weed. Cut stem and swab. Apply three applications per annum during active growth period. Apply as foliar spray. Two applications/year during active growth.